Shadowhawk writes a beginner’s guide to the Warhammer 40,000 range of Black Library fiction, and takes a look at the various factions within the setting, giving an overall perspective over the entire setting. “Action, bloodshed, drama, character. Outstanding Abnett reading.” ~ The Founding Fields. With the Ghosts mourning the loss of Try Again Bragg at the end of The Guns of Tanith, they are committed to the ancient battlefields of Aexe Cardinal. EJ Davies casts his baleful eye over the third in The Saint cycle as the Ghosts tackle a war of arms, and of minds. “Dan Abnett serves up gripping action, compelling characters, and nail-biting relationships.” ~The Founding Fields. EJ Davies, in his ever decreasing quest to complete the Black Library back catalogue, reaches the second novel in The Saint cycle of the Gaunt’s Ghosts saga: Guns of Tanith, following the exploits of the Ghosts as they seek to liberate the world of Phantine from the chaos worshipping Blood Pact. A rip-roaring book filled with political intrigue, dogfights, and Abnett’s-own brand of visceral, nail biting, hard-edged action.” ~ The Founding Fields. EJ Davies, in his bid to continue his Black Library education, takes on the first in The Saint cycle of the Gaunt’s Ghosts saga, by the man, the legend, Dan Abnett. “Something of a slightly functional story but with excellent character work turns this from an average to a great book.” ~ The Founding Fields. EJ Davies, in his quest to cover the wealth of Black Library releases prior to Horus Rising, takes on the might of Ibram Guant and his Ghosts in the third, and final, of The Founding Cycle. “A fabulous entry into the Black Library canon, and evidence of why legions of fans have taken the Ghosts to their hearts. Truly great stuff.” ~ The Founding Fields. EJ Davies tackles the second Gaunt’s Ghost novel, and the second in the Founding cycle; as Dan Abnett’s first forays into the Sabbat Worlds crusade see the light of day. “With the potential to be little more than an anthology, Dan Abnett proves not only his talent for writing, but also world building, as we explore more of the Ghosts and Ghosts’ background in a wonderfully crafted book” ~ The Founding Fields. 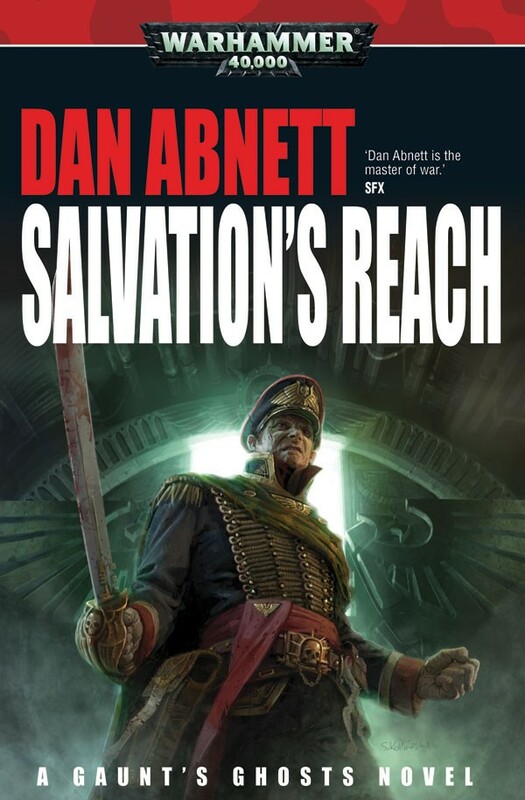 Bane of Kings reviews Salvation’s Reach, the latest Gaunt’s Ghosts novel, published by Black Library and written by Dan Abnett.